See outstanding film talent at this St. Augustine festival of independent film projects. The St. Augustine Film Festival features four days of films from multiple countries shown at several theaters within walking distance of one another in St. Augustine's historic district. The 2019 St Augustine Film Festival will take place Friday, Saturday, and Sunday, January 18, 19, and 20, with a Preview Day on Thursday, January 17. 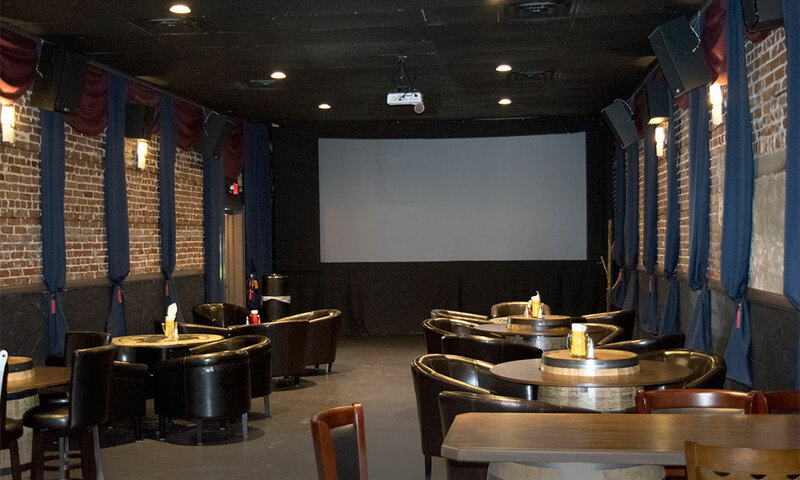 Films are shown in Lewis Auditorium, the Gamache-Koger Theater at Flagler College, the St. Augustine Distillery, and at all three viewing rooms of the Corazon Cinema and Cafe. See below for addresses for all locations. The St. Augustine Film Festival, now in its ninth year, will again be organized by Gregory von Hausch, the CEO of the acclaimed Ft. Lauderdale International Film Festival. Films will include comedies from all over the world as well as fine films from independent U.S. filmmakers. This year's Festival also includes several documentaries, including four that involved St. Augustine residents. Visit here for a complete list of films and descriptions, and see below for a film schedule. All Access Pass holders are invited to three parties in historic St. Augustine locations on Friday, Saturday, and Sunday evenings. The Opening Night event will be at the Lightner Museum, in the area that was the Hotel Alcazar's indoor pool. Drinks and dinner buffet will begin at 5:30 p.m., and will be followed by screenings of the two opening night films at Lewis Auditorium at 7:15 p.m. Drinks and hors d'oeuvres will be offered to All Access Pass holders at the Solarium at Flagler College from 9:00 to 11:00 p.m. on Saturday, and Sunday night's party will be from 7:45 to 9:00 p.m. at the Markland House. When: The 2019 Festival will take place Thursday through Sunday, January 17 through 20, 2019. Where: Films will be shown at these three downtown venues: The Corazón Cinema and Cafe (36 Granada St.), Flagler College's Gamache-Koger Theater (50 Sevilla St.), Lewis Auditorium (14 Granada St.), and the St. Augustine Distillery (112 Riberia St.). Parties for All Access Pass holders will be held at the Lightner Museum (75 King St.), the Solarium at Flagler College (74 King St.), and Markland House (102 King St.). Admission: Tickets can be purchased for any individual film at the door for $10.00 for adults, $8.00 for seniors, military, and first responders, and $7.00 for students with ID. Ticket prices for individual films at Lewis Auditorium are $10.00 for adults, $8.00 for seniors, and $7.00 for military, first responders, and students with ID, and can be purchased at the door or online here. The All Access Pass, which includes three parties and advance access to the screening rooms 20 minutes before the film, as well as access to the exclusive Preview Day on Thursday, January 17, is $180.00. The All Films Pass (advanced access to screening rooms and access to Preview Day) is $120.00. The All Lewis Auditorium Pass (which includes all the film screenings in the main venue, as well as the Opening and Closing Night films) is $60.00. Visit here to purchase tickets.